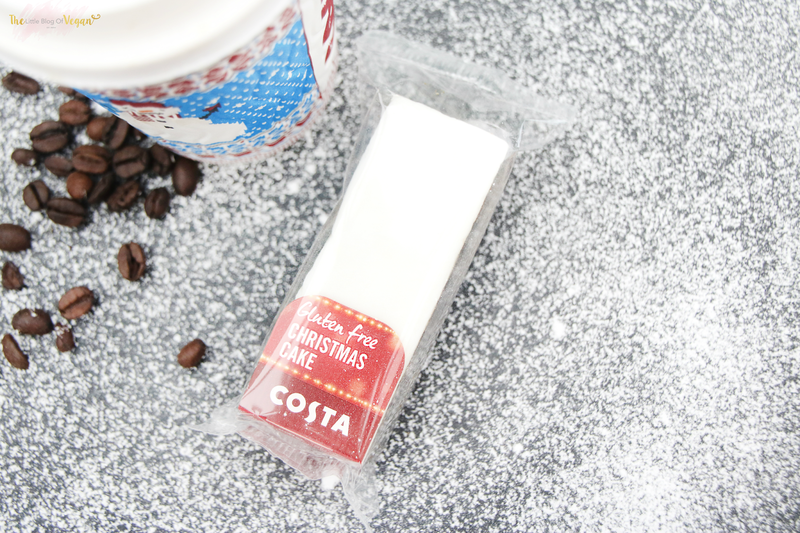 November also means.....Christmas at Costa Coffee has arrived! I'm aways so excited to see their new festive drink cups, and this year they are adorable. They look like a knitted jumper! Honeycomb latte- Ask for a soya honey comb latte, with NO cream and NO honeycomb pieces. The cream contains milk and the honeycomb pieces contain honey & milk. They honeycomb syrup they use for this drink is vegan! 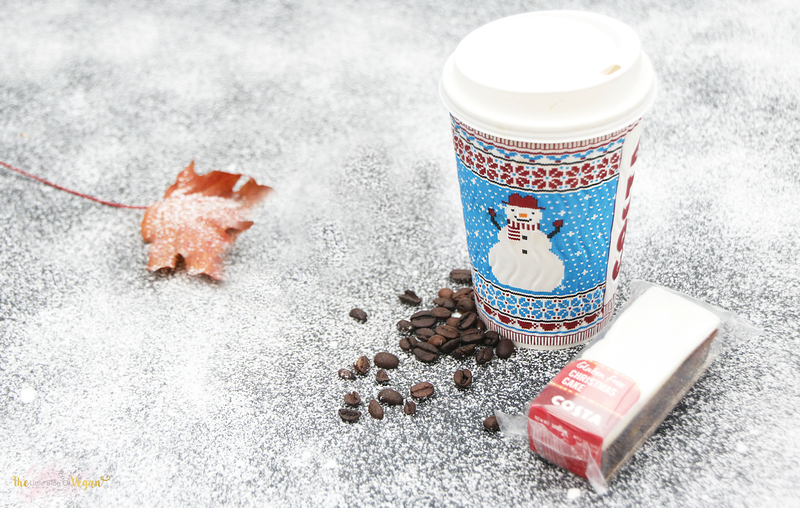 Gingerbread latte- Ask for a soya gingerbread latte, with NO cream and NO gingerbread man. The cream contains milk and the gingerbread man contains egg. The gingerbread syrup they use for this drink is vegan! Salted caramel cappuccino- Ask for a soya caramel cappuccino, with NO cream and NO caramel fudge toppings. Lindt hot chocolate- Unfortunately, the lindt hot chocolate can't be made vegan or dairy-free, as the chocolate powder contains milk. Toasted marshmallow hot chocolate- Unfortunately, the marshmallow hot chocolate can't be made vegan or dairy-free, as the chocolate powder contains milk. Crimbo crumble- This is my favourite Christmas treat from Costa. It's a gluten-free biscuit base with a layer of mincemeat with a crumble topping. Utterly mouth-watering! They are 100% vegan & gluten-free. I tried this and its moist and delicious! It's a fruit cake base with a layer of marzipan topped off with icing. 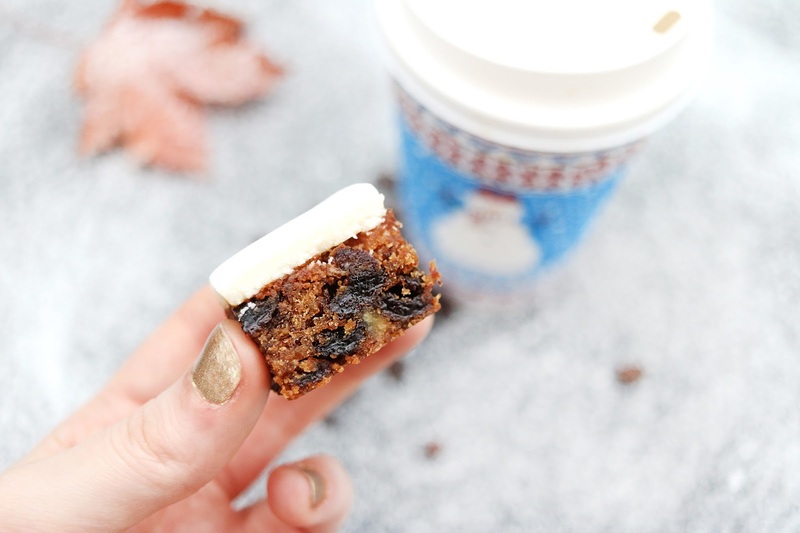 A yummy festive treat to enjoy with a festive coffee! I will be popping back into Costa Coffee very soon and i will ask about more vegan and gluten-free options! I am also emailing Costa to get more information, so i will be updating this post very soon! I thought the mint drink had dairy free powder. Alright. I liked the Christmas cake. The hot chocolate powder in Costa is fine, but the chocolate powder they use on top of, say, cappuccino, isn't.